R3 Manufacturing Ltd. is proud to offer standard and custom built pressure casting systems to the rapid prototyping industry. 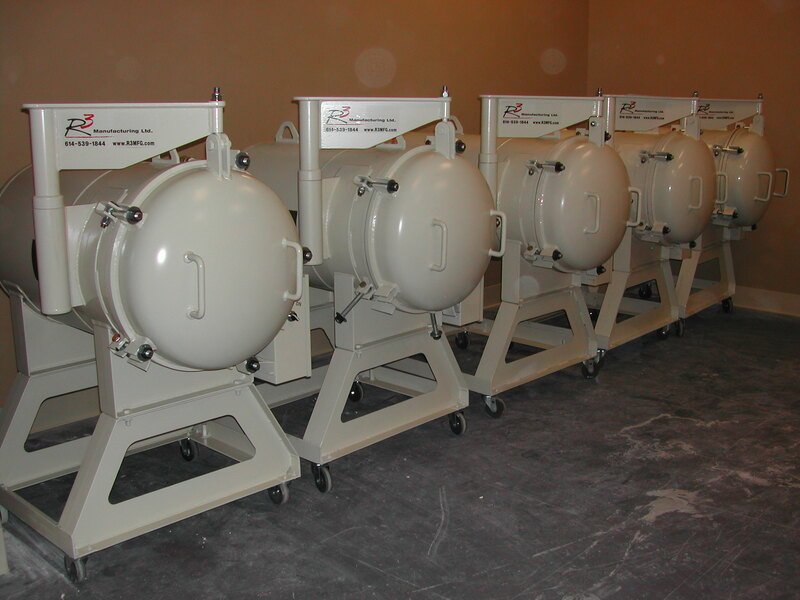 Silicon molds are one of the most economical mediums to cast urethane reproductions. 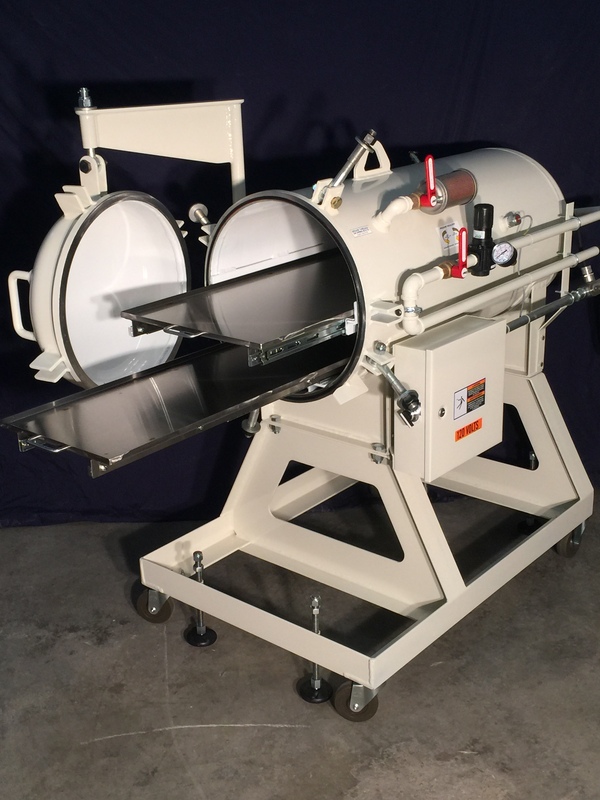 However, to get a void-free copy repeatedly, it is necessary to place the RTV mold in an artificial environment that is the appropriate size, temperature, and pressure. 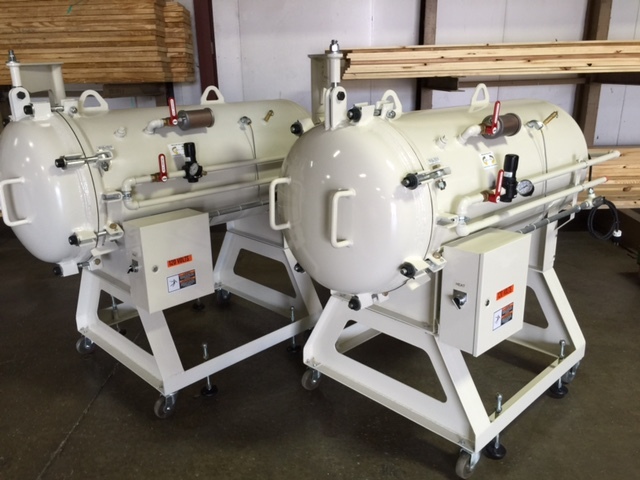 Let us help you today to achieve the production your shop needs with our custom systems. 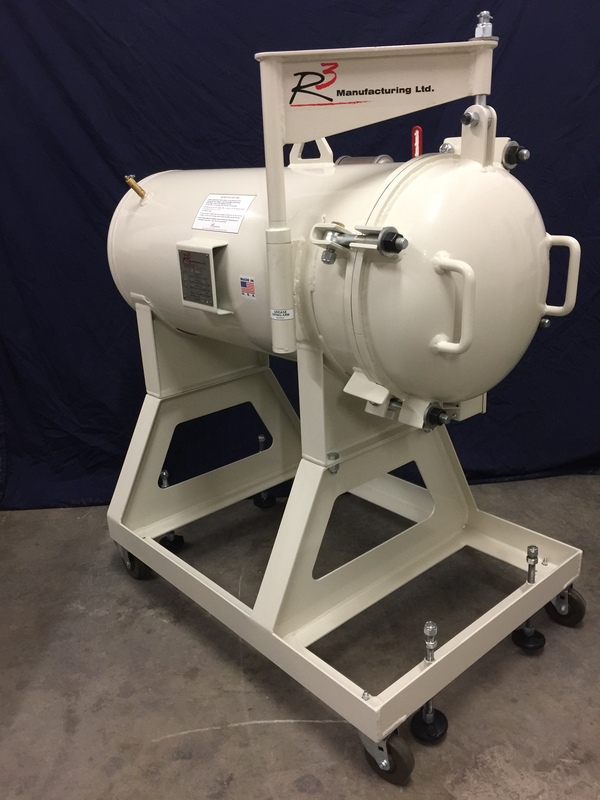 We build standard pressure casting tanks starting at 18” in diameter, up to 54” in diameter, any lengths from 12” up to 240”. We are the only company that can offer a single set temp control or programmable controllers, for ramping temperature and recording information. Other options we provide are windows, internal lights, pass through ports for casting internally using a meter mix machine. Stainless steel retractable shelving available, along with powder painted outside surfaces, and heat shielding for higher temps upon request. Also bench mounts, or legs with casters and levelers. 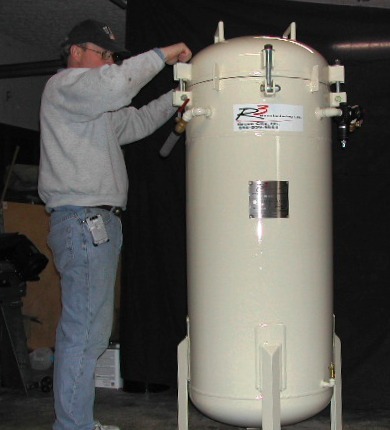 All of our tanks are ASME Code stamped “U”, and are traceable with certifications from us.